From former NPR correspondent and acclaimed author of Anonymous Sources Mary Louise Kelly comes an “action-packed page-turner” (Publishers Weekly) about fear, family secrets, and one woman’s hunt for answers about the murder of her parents. Caroline Cashion is beautiful, intelligent, a professor of French literature. But in a split second, everything she’s known is proved to be a lie. A single bullet is found lodged at the base of her skull. It makes no sense: Caroline has never been shot. Then, she learns the truth: that she was adopted when she was three years old, after her real parents were murdered. Caroline was wounded the night they were attacked, a gunshot to the neck. Surgeons had stitched her up with the bullet still there, nestled deep among vital nerves and blood vessels. Now, Caroline has to find the truth of her past. Why were her parents killed? Why is she still alive? She returns to her hometown, where she learns that the bullet in her neck is the same bullet that killed her mother. It hit Caroline’s mother and kept going, hurtling through the mother’s chest and into the child hiding behind her. She is horrified—and in danger. The bullet in her neck could finger a murderer. A frantic race is set in motion: Can Caroline unravel the clues to her past before the killer tracks her down? My name is Caroline Cashion, and I am the unlikely heroine of this story. Given all the violence to come, you were probably expecting someone different. A Lara Croft type. Young and gorgeous, sporting taut biceps and a thigh holster, right? Admit it. Yes, all right, fine, I am pretty enough. I have long, dark hair and liquid, chocolate eyes and hourglass hips. I see the way men stare. But there’s no holster strapped to these thighs. For starters, I am thirty-seven years old. Not old, not yet, but old enough to know better. Then there is the matter of how I spend my days. That would be in the library, studying the work of dead white men. I am an academic, a professor on Georgetown University’s Faculty of Languages and Linguistics. My specialty is nineteenth-century France: Balzac, Flaubert, Sten­dhal, Zola. The university is generous enough to fly me to Paris every year or so, but most of the time you’ll find me in the main campus library, glasses sliding down my nose, buried in old books. Every few hours I’ll stir, cross the quad to deliver a lecture, scold a student requesting extra time for an assignment—and then I return to my books. I read with my legs tucked beneath me, in a soft, blue armchair in a sunny corner of my office nook on the fourth floor. Most nights you will also find me there, sipping tea, typing away, grading papers. Are you getting a sense for the rhythm of my days? I lead as stodgy a life as you can imagine. But it was by doing just this, by following this exact routine, that I came to schedule the medical appointment that changed everything. For months, my wrist had hurt. It began as an occasional tingling. That changed to a sharp pain that shot down my fingers. The pain got worse and worse until my fingers turned so clumsy, my grip so weak, that I could barely carry my bags. My doctor diagnosed too much typing. Too much hunching over books. To be precise—I like to be ­precise—he diagnosed CTS. Carpal tunnel syndrome. He suggested wearing a wrist splint at night and elevating my keyboard. That helped, but not much. And so it was that I found myself one morning in the waiting room of Washington Radiology Associates. I was scheduled for an MRI, to “rule out arthritis and get to the bottom of what’s going on,” as my doctor put it. It was the morning of Wednesday, October 9. The morning it all began. This reading group guide for The Bullet includes an introduction, discussion questions, and ideas for enhancing your book club. The suggested questions are intended to help your reading group find new and interesting angles and topics for your discussion. We hope that these ideas will enrich your conversation and increase your enjoyment of the book. Caroline Cashion is a mild-mannered professor of French with a stable, loving family and a happy, if uneventful, life. She never expects that a checkup for wrist pain would lead to the shocking revelation that there is a bullet embedded in her neck, which reveals that she is the sole survivor of a brutal murder that killed her birth parents and changed her fate forever. As she attempts to unravel the mystery of her childhood trauma, Caroline must quickly come to terms with the fact that she isn’t the only one with dark secrets. Someone is invested in making sure that a decades-old crime is never solved . . . and he or she is willing to kill to make sure that the past stays covered. 1. “ ‘We love you. We always will. No matter what, you are our daughter.’ I stared at him. Those were the most frightening words I’d heard yet.” (page 21). Early on in the book, Kelly sets up a relationship between love and fear. How does this play out as The Bullet progresses? Think of several examples in Caroline’s life, as well as for the Smiths and Sinclares. 2. Caroline is a professor, dedicated to the pursuit of knowledge. Still, would you say that knowledge makes Caroline happy? Why or why not? 3. Do you find Caroline a likable character? What details signal to us that we can trust her, and in what ways does the author work to endear her to the reader, before the book’s shocking end? Consider her appearance, habits, relationships, and hobbies. 4. Look at the beginning of chapter 10, when Caroline first visits the house on Eulalia Road where her parents were killed. Can you relate to Caroline’s desire to relive her past, even in its most disturbing and heartbreaking moments? 5. Knowing the details of her parents’ lives makes Caroline feel closer to them, yet the book’s opening prologue suggests that those intimate details can mask larger truths. Which do you think are more important in this book, in the end? 6. Maternal characters are very important in the novel, from Sadie Rawson (who literally takes a bullet for Caroline), to Madame Aubuchon, to her mother in DC. Compare and contrast these characters, as well as other “mothers” in the text. What do you think the author is trying to say about the complex nature of motherhood? 7. On page 170, Beasley and Caroline discuss the nature of closure. How does Caroline’s sense of what this means change over the course of the novel? 8. Should Verlin Snow have been required to confess? Do you understand the reasons for his actions, or find them morally wrong? Discuss with your book club. 9. Do you think justice is served for Caroline and the Smiths in the end? Why or why not? 10. “Sometimes, to heal, we need time alone.” (page 266) In what ways does her decision to go to Paris help Caroline? What does she learn or do there that might harm her? 11. Why do you think Caroline decides to let go of the bullet, in the end? Would you have done the same? 12. Author Alice LaPlante praised The Bullet by calling it “at once a thriller [and] a medical mystery.” Did you find Caroline’s story believable, in the way many medical mysteries are? What techniques did the author use in order to heighten this book’s credibility and verisimilitude? 1. What’s in a name? Caroline is relieved to discover that the Cashions did not change her birth name, but she also becomes “Tammy” and “Simone” over the course of the novel. With your book club, find a baby name book or reference website and look up the attributes of several character names from The Bullet. Then, look up the meanings of the names for each of your club members, and discuss whether you think they match each of your personalities. 2. Make an appointment to take your book club to a local shooting range. Compare your accuracy: the best shot gets bragging rights! 4. Research some of author Mary Louise Kelly’s journalism—you might consider playing one of her pieces for NPR at your book club. Compare and contrast her voice in her nonfiction work versus in The Bullet. Do you think her personality comes through in both genres of her writing? How can you tell? 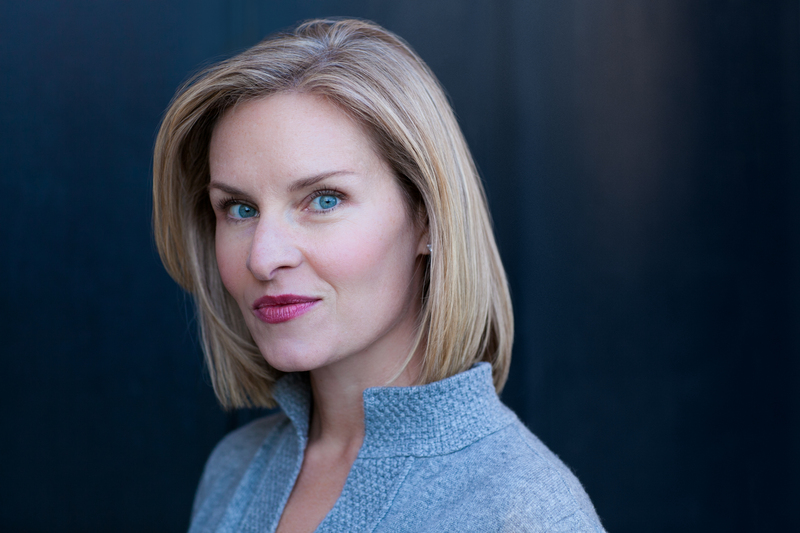 "Kelly's years as a political writer and intelligence correspondent covering wars, terrorism and nuclear powers have served her well, and she portrays James with authority in a smart, fun voice that will stir lust and envy among readers. The author leaves open a window on the final page that suggests a sequel, much to the reader's delight." "Mary Louise Kelly’s The Bullet is right on target with a riveting, twisty tale of a woman whose search for her own identity leads her to seek vengeance against the killer who stole it from her." "With an extremely likable narrator and twists and turns galore, The Bullet is at once a thriller, a medical mystery, and a study of how well we really know the people we love." 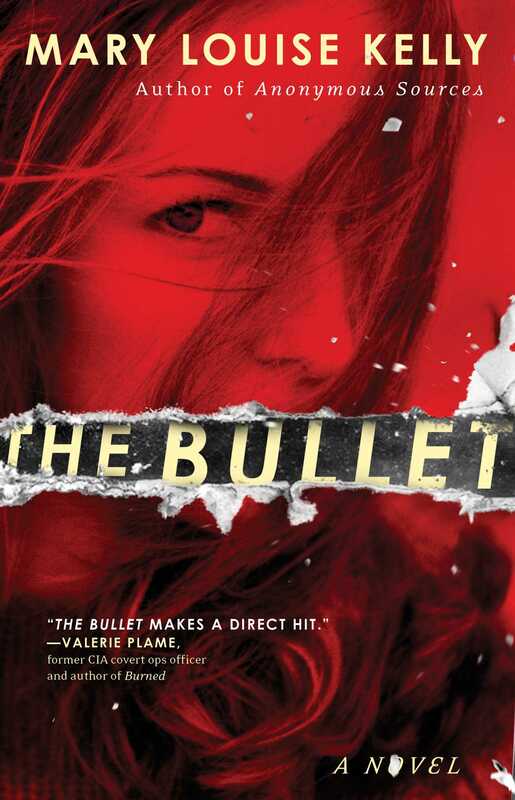 "Mary Louise Kelly's The Bullet has an irresistible hook and a run of fantastic twists that pulls you breathlessly through to the last pages where all is revealed with a sure, steady hand. It's having your cake and closure too—and it's very satisfying. I'd kind of like a time machine so that I could have the wonderful premise of this book for my own!" "The Bullet makes a direct hit. Written with style and intelligence, the clever plot gains velocity until the final page."